ABB’s Measurement Products’ business announces the availability of a 28-page application guide for Swirl flowmeters. The guide describes how ABB's unique Swirl flowmeters contribute advantages to a variety of industrial applications. It covers flow measurement in six major industries: power, chemical, oil and gas, pulp and paper, metals and mining, and food and beverage. Flow applications reported include steam, acids, solvents, water, petrochemicals, and a variety of gases. For many of the applications covered, the advantages that swirl meters provide are wide measurement ranges and high accuracies along with less need for straight pipe runs. The guide adds that Swirl meters are insensitive to dirt and pollution bearing flows. 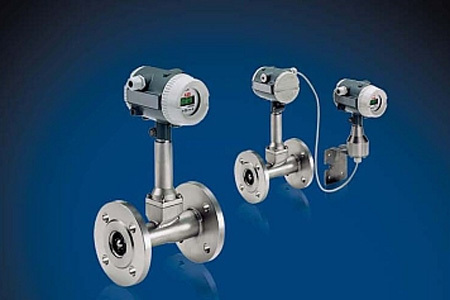 With an optional integrated temperature sensor, Swirl meters can measure mass flow rates of saturated steam. They also provide multiple signal paths for volume flow, totalization, and pulse outputs. The guide also notes that Swirl meters are often less expensive than alternative flowmeters. It compares ownership costs with several alternative flowmeter types, and includes a table of key technical data. ABB's Measurement Products business unit is among the world's leading manufacturers and suppliers of instrumentation and analyzers. With thousands of experts around the world and high-performance technology, ABB's team is dedicated to making measurement easy for its customers. For more information, visit www.abb.com/measurement. ABB is a leader in power and automation technologies that enable utility and industry customers to improve their performance while lowering environmental impact. The ABB Group of companies operates in around 100 countries and employs about 150,000 people. For more information, visit www.abb.com.